When Mike Rother and John Shook wrote the book Learning to See, it represented a major step forward in the awareness among practitioners in the lean community. Prior to the activity of Value Steam Mapping, it was more challenging for consultants like me to help people see the whole process. The Value Stream Map showed importance of information flow, order sizes, and time losses along a series of processes. Collaboration in creating the map allowed people to agree on the current situation and what to do about it. Value Stream Mapping has helped many organizations move toward a customer-focused, flow-oriented cross-functional management process. It has been 20 years since Rother and Shook introduced Toyota's method for creating material and information flow diagrams as Value Stream Mapping. Lean practitioners have mapped, transformed, and re-mapped Value Streams across all industries around the world. They have explored what it means to manage a Value Stream. Traditional organizations, their management roles and functional silos do not always serve the customer well. Value Stream Managers have become more common. Traditional accounting methods do not always reflect the costs and benefits of operating and improving value streams. 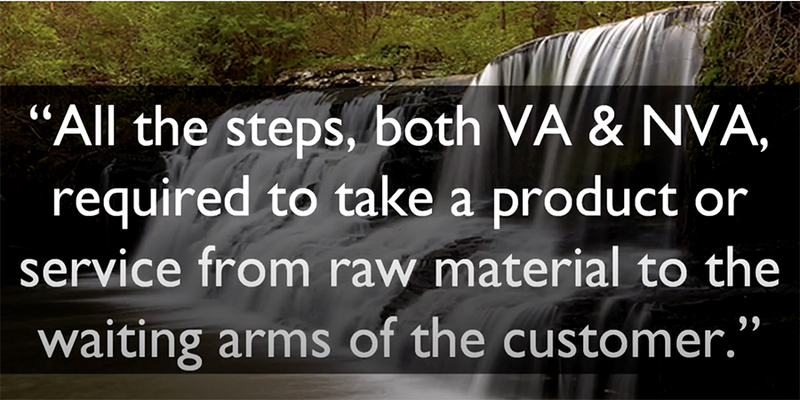 As a result, Lean Accounting and Value Stream Costing have been invented. Learning to see our work from the eyes of the customer and reorganizing our work in common sense ways to meet their needs, the lean practitioner community has developed a blueprint for modern business excellence. Our Value Steam Management Resources page brings together the insights and experience that many practitioners and experts have shared with us over the past decade. This includes interviews, live seminars, podcasts, articles, and video lessons. We believe there is practical information on this resource page for learners of all levels on how to identify, transform, measure and effectively manage the value stream within our organizations. We will update this reference page as we add new podcasts, articles and videos to our library.